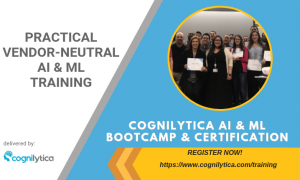 AI is known as a “dual use” technology – that is, it can be used both for good applications as well as harmful ones. AI is already starting to be used to threaten companies in ways that we haven’t seen before. 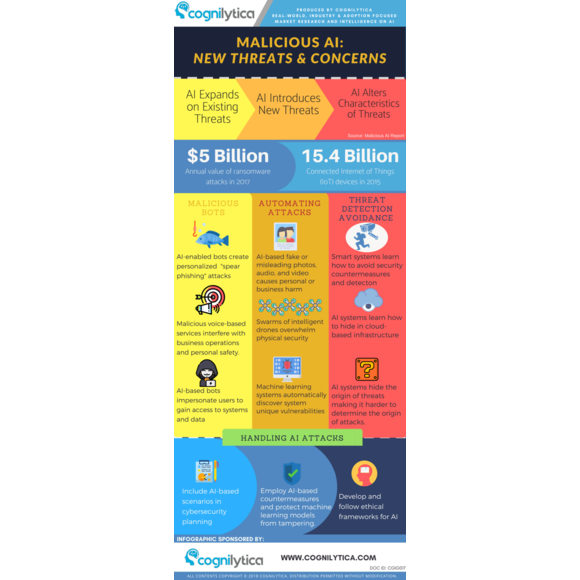 In this infographic, Cognilytica highlights some of the concerns and new threats that AI brings into the picture.